Size : 17.5 x 18.8 mm Weight : 2.98 grams. Grade : XF/VF but the surfaces are slightly grainy due to chemical cleaning at some point. Obverse : Head of Severus Alexander right, with IMP SEV ALEXAND AVG around (the tops of the last part of the inscription are off the flan). 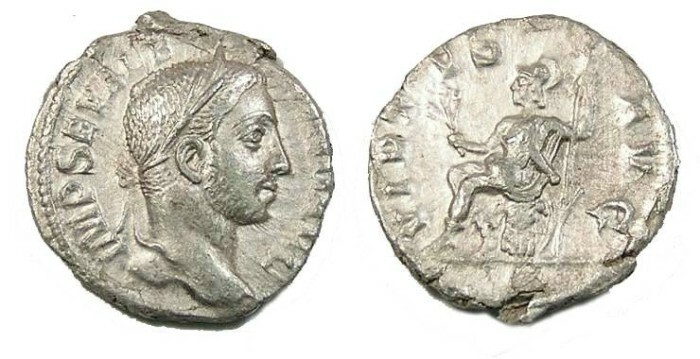 Reverse : Virtus seated left on a cuirass, holding a branch and sceptre, with VIRTVS AVG around.